This is a wine from Bali. I didn’t know they made wine in Bali. L ordered this bottle of Rosé with dinner at our hotel in Leggian. I hadn’t drunk a glass of wine in-country up to that point, as the choice was either Wolf Blass Yellow Label or…nothing. Bintang pils became my default drink of choice. We didn’t finish it at dinner (L thought it was undrinkable) so I brought I back to our room and did my own assessment the following evening. Light approachable Rosé aromatic character. 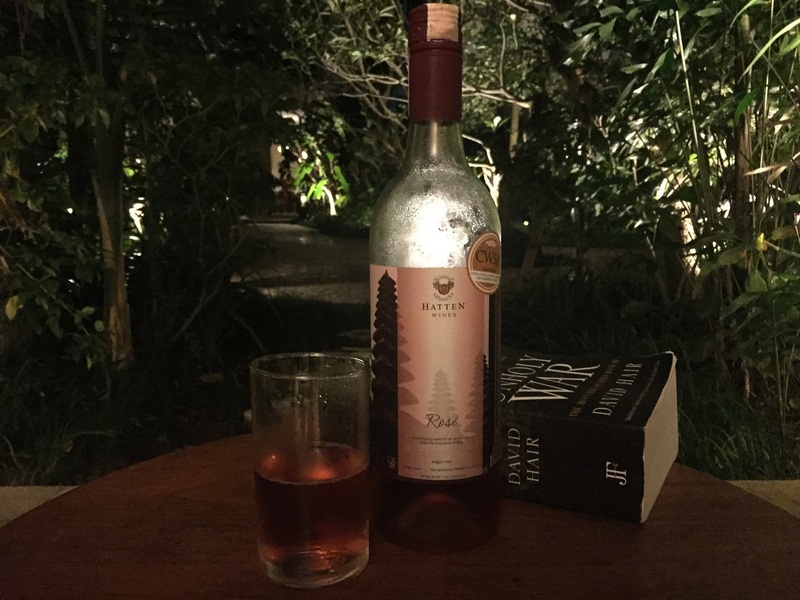 This entry was tagged $$$+, 11%, 2, Anggur Rose, Hatten Wines, NV, Off Topic, Wine of Bali. Bookmark the permalink.